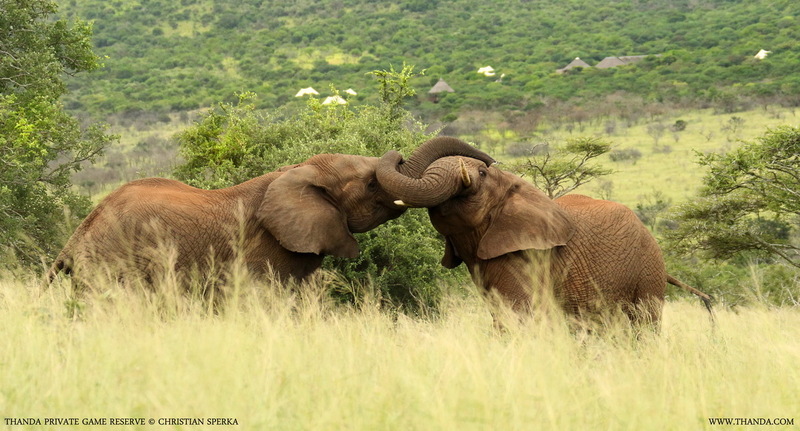 These two young Elephant bulls were sparring in the valley just below the Thanda Tented Camp. 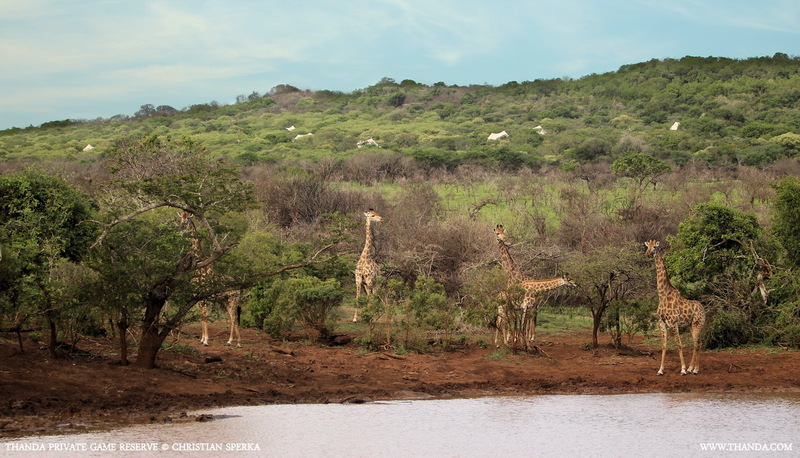 This interesting scene could not only be observed by the Thanda guests from a game viewing vehicle but also from The Sala, a covered observation deck, on the edge of the camp. 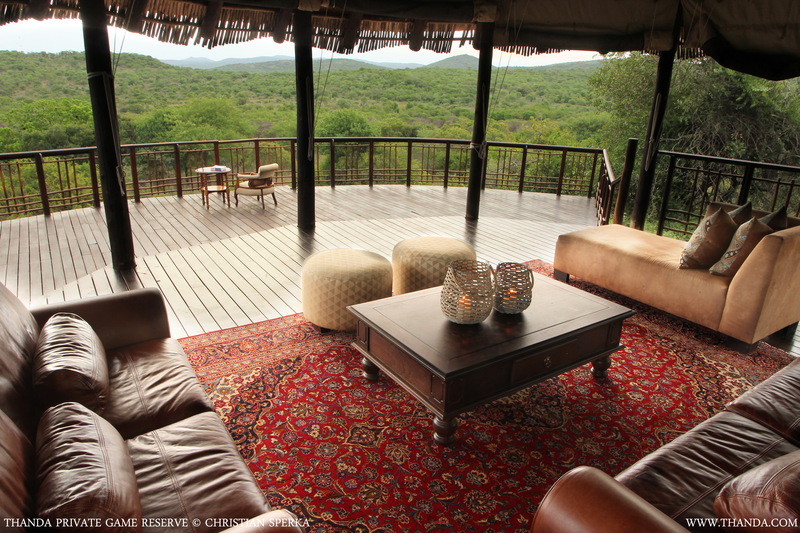 The Sala is a great place to spend some relaxing time between game drives. With a bit of luck – and the use of binoculars – it is possible to spot wildlife in the valley and the waterhole below, as well as birds in the surrounding trees.